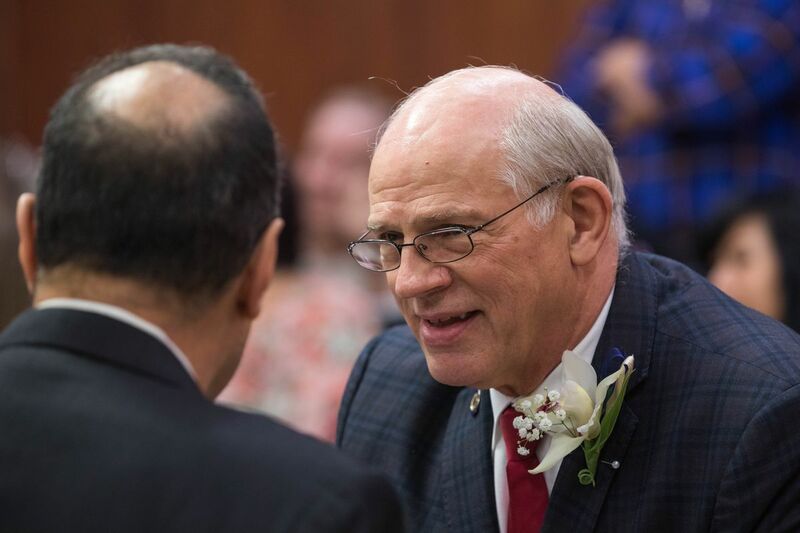 JUNEAU — Alaska lawmakers are contemplating a rollback of conflict-of-interest legislation passed last year, saying the result has been much more strict than expected and is interfering with their ability to talk with constituents. Senate Rules Chairman John Coghill, R-North Pole, introduced the rollback legislation Wednesday morning. A similar bill is expected in the House. Speaking to reporters, Coghill said action is necessary to prevent last year’s change from interfering with the ongoing budget discussions in the Legislature. “To step back is the best thing to do while we’re dealing with some very, very tough issues in this legislative session,” he said. 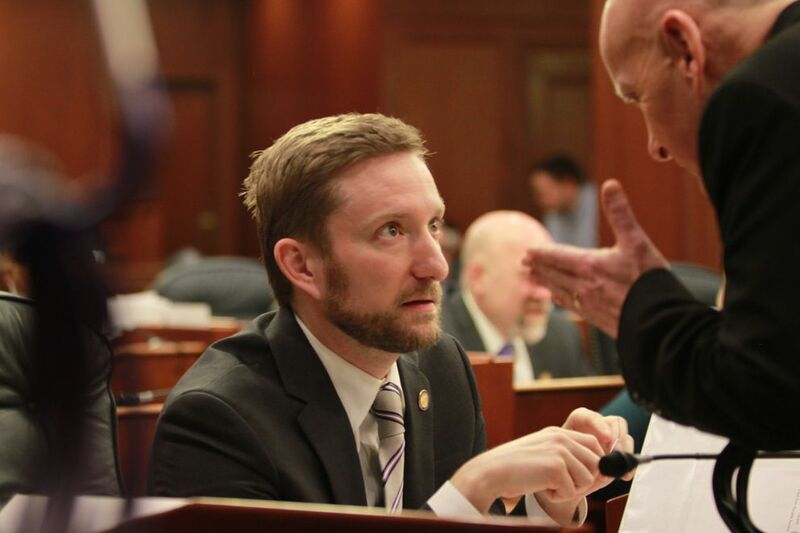 Pushed in 2017 and 2018 by then-Rep. Jason Grenn, I-Anchorage, last year’s law says in part that lawmakers cannot “take or withhold a legislative, administrative, or political action” if that action could “substantially benefit or harm” the finances of themselves; an immediate family member; their employer or the employer of their immediate family; an employer the lawmaker is seeking to work for; or someone the lawmaker or an immediate family member has made more than $10,000 from over the previous 12 months. Under the official interpretation of that law provided to lawmakers by the Legislature’s ethics staff in January, taking action includes holding a private meeting with a constituent or discussing a potential bill behind closed doors. “Scheduling a meeting in your official office, even if just to listen, could be considered ‘official action,’ ” legislators were advised at the start of the session. Lawmakers can still vote on legislation if they have a conflict, but they must declare that conflict first. Senate Majority Leader Mia Costello, R-Anchorage, said she’s been affected by the bill. Costello’s district covers Ted Stevens Anchorage International Airport, and she said she would like to propose a bill restricting the ability of state airports to raise aircraft landing fees without legislative approval. For her, the problem is that her husband is a pilot for Everts Air Cargo, so she has a conflict of interest on aviation-related legislation. To even discuss that fact, Costello felt she had to talk about it in a public hallway, rather than her office. “It’s preventing me from introducing a bill that I should be able to introduce. It’s taking away the voice of my constituents,” she said. Sen. Click Bishop, R-Fairbanks, offered another example. He owns a small placer gold mining operation that produced between $10,000 and $20,000 worth of gold last year, financial disclosures state. Under the new ethics rules, he can’t discuss mining-related topics with his constituents. He could get around that problem if he sold his gold mine, but if he did that and other lawmakers followed suit, it would make the Legislature less of a citizen-legislative body. “The founding fathers were pretty clear they wanted a citizen legislature made up of dog mushers and miners and commercial fishermen … they didn’t want a professional group of individuals here,” Bishop said. “We all have day jobs; we go out and make a living. This isn’t our living. I think it went too far,” he said. The discontent is bipartisan. Senate Minority Leader Tom Begich, D-Anchorage, occasionally works as an education consultant and said he wasn’t able to talk as freely as he would have liked about the recent de-accreditation of the University of Alaska Anchorage School of Education. “I don’t think that was the intent of the law that we wouldn’t be able to talk about these things,” he said. Grenn, now out of the Legislature, admits there’s a problem but thinks rolling back the legislation is the wrong approach. “I think it’s unfortunate. I think the problem is with the interpretation, not the law,” he said. “I think they should take some time to find a definition (of ‘official action’) that works,” he said. A ballot measure would have been protected from repeal for two years, according to the Alaska Constitution.